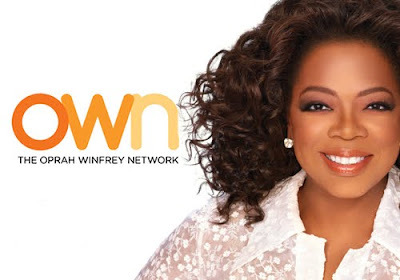 In a letter to fans, media mogul Oprah Winfrey relayed some of her new network's, OWN, growing pains. I spent my first full week at OWN merging new staff with Harpo folks. Alignment is the first step in getting anything to work. We all had a great week. Although if you saw my tweet, you noticed I could use some better office furniture. We're working on new shows for fall. ROSIE's on at 7pm ET/PT. I watched in awe this past Friday as she sat in a room full of critics, (Television Critics Association) and made them actually LOL. OWN YOUR LIFE (the oprah class) will be at 8pm ET/PT. Sign up if you're interested in having a better life at Oprah.com. By the way did you see the show SERVING LIFE on OWN it reairs this Wednesday night 9pm and 12am ET/PT. Produced and narrated by Forest Whitaker. If you didn't see and can't see when it reairs...DVR. It's worth your time. I've been emailing Forest all weekend. I can't stop thinking about it. It was really, REALLY good. And a tough subject. But opened my heart and made me drop a lot of preconceived notions and judgment. It is great television I'm proud to platform on OWN. @Woodsy1069 asked me on Twitter yesterday if I was "frazzled" by OWN's performance thus far. Nope, not frazzled. And I have faith that if I do what I'm supposed to—allow it to serve my purpose, and you, the viewer—it will succeed. Everyone in the cable business told me it would take 3 years. Some said 5. I've been here a week. Lorne Michaels, master creator/producer told me months ago, "it won't start to come together until you're there." So I made myself CEO and now in the trenches with Erik and Sheri who've masterfully run Harpo, now also Presidents of OWN. We're uniting and building our team. I will say this; it's 10 times harder than doing my daily show. Doing that show felt like breathing everyday. Now I'm in so many meetings I sometimes have to step out and catch a breath. But I see every challenge as an opportunity. So no shortage of opportunities here. I know the same is true for your life. My experience is a network, yours is whatever is calling you right now. Get clarity. Don't allow yourself to be overwhelmed. Don't be defeated by mistakes. Learn from them. We have a new motto..."The next right decision"...what is it? You know I'm definitely Team Oprah so I am rooting for her success. Nothing more powerful than purpose and vision. It'll work out.